Hearing the story of how Queen Esther risked her life for the sake of the entire Jewish people is so much more significant when we all come together – old and young, secular and religious, native Israelis and new immigrants, women and men. 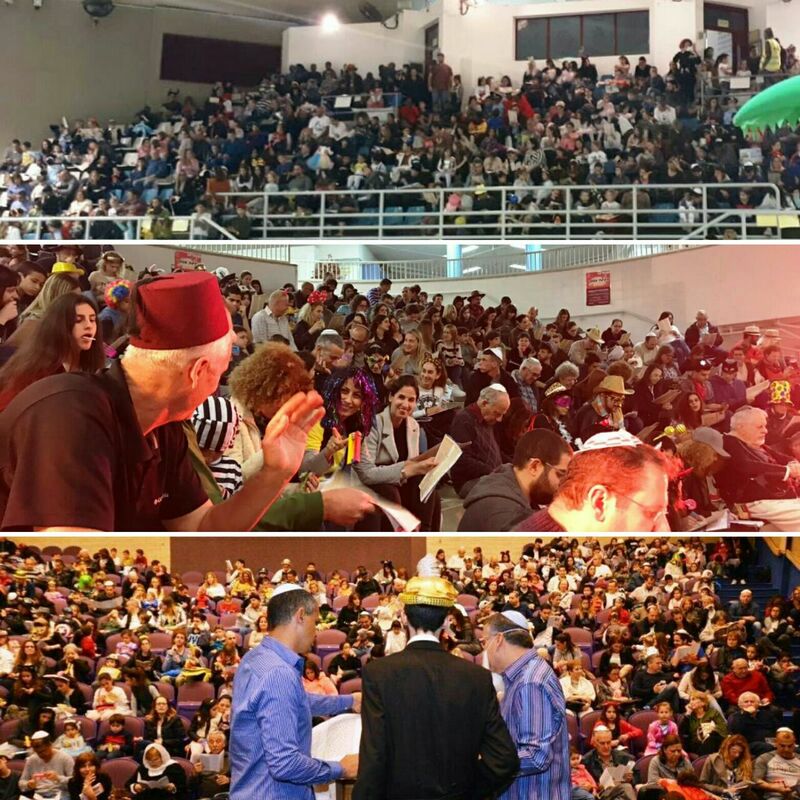 This year’s “Megilla Bakehila” events, run by Ohr Torah Stone’s Yachad Program for Jewish Identity in partnership with Tzohar, took place in 535 locations across Israel, and more than 90,000 people attended! Some heard Megilla for the first time in their lives; others saw new meaning in the ancient words as the noisemakers and whistles pierced the air at every mention of the name Haman. We want to thank all of the volunteers who made the events happen. Looking forward to seeing everyone next year! Because Purim – and Judaism – belong to us all.